An ordinary girl with an extraordinary past. All she wants is to be free. What she doesn't realize is that freedom comes with a price she can't afford to pay. She's forced to accept the proposal of a prince she despises, even though her heart belongs to someone else...his brother. Seventeen-year-old Rema lives in a brutal kingdom where travel between regions is forbidden, people are starving, and looking at someone the wrong way can mean death. Nineteen-year-old Darmik is the king's son and Commander of the King's Army. He spends his days roving the island, doing his father's bidding and trying to maintain control over the people. When a chance encounter throws Rema and Darmik together, they share an instantaneous connection, but any sort of relationship between them is strictly forbidden. Darmik's brother, the Crown Prince, notices Darmik's interest in Rema and, in a calculated, political move, blackmails her. Faced with an impossible choice, Rema is forced to sacrifice her heart in order to save her family. As Rema is taken to the palace with the Crown Prince, Darmik confronts the growing rumor that a legitimate blood heir to the throne exists and is trying to overthrow Darmik's family. In Darmik's quest to hunt down and kill the threat, he discovers that nothing is as it seems. Locked in the king's castle, Rema finds herself a key player in a massive power struggle. When Darmik shows up, she's not sure if she can trust him. The line between friends, enemies, and loyalty becomes blurred. 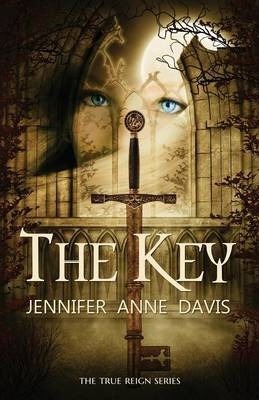 As truths are unlocked, Rema understands that she just might be the key to finding the rightful heir and restoring peace to the kingdom... if she can manage to stay alive long enough.